In 1991, Dr. Hoisen, the original owner, retired and turned over the practice to Dr. Ronald Weiner ensuring the values that were the hallmark of Story Road Animal Hospital would remain as Dr. Hoisen desired. 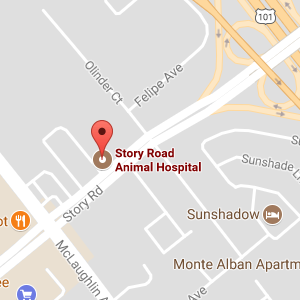 Thus, prices have remained significantly lower than other animal hospitals in South San Jose. Thanks to our incredibly loyal clients who refer friends, family, coworkers and neighbors, our hospital continues to grow and help more pets year after year. We are eternally grateful. We couldn’t do it without you. And thanks to our dedicated staff, many of whom have worked here for several years, you’ll feel a warmth and familiarity during each and every visit. Please feel free to stop by anytime during our open hours which you can find here on our Contact Us Page. We welcome walk-in visits (no appointment necessary). If you prefer, you can call to schedule a set appointment time, or to arrange a drop-off appointment. We understand how busy life can be these days. We are committed to being as flexible as possible to accommodate your schedule. Thanks to our loyal clients who trust us to provide quality pet care, and who continue to refer their family and friends, our animal hospital has been serving East San Jose for over 50 years. Walk-ins Welcome! It’s your choice for your convenience. Schedule an appointment or walk-in during our regular business hours. Please see our regular business hours listed here. 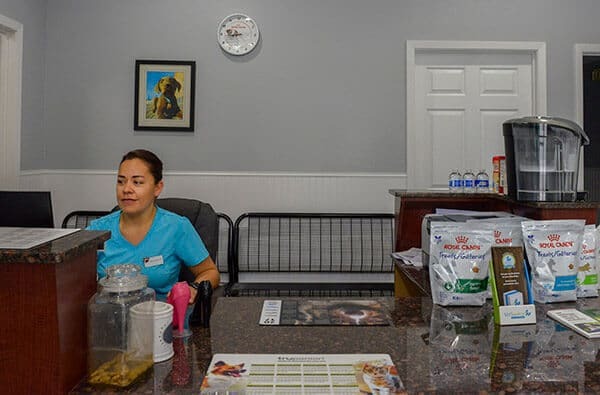 Our sole purpose is to serve you, the people in our local community, through the delivery of quality veterinary care your pets deserve at affordable prices your budget can handle. Free resources, pet education videos, and helpful information written by San Jose vets for San Jose pets. Save money! Save time!! We’ve partnered with VetSource because they have low prices and fantastic perks. Free shipping when you sign-up for “Remind-Me™” Single Dose Auto-Ship. We’ve partnered with specialists who perform services, including surgeries, right here at our local animal hospital. This can save money when compared to the prices at speciality facilities.